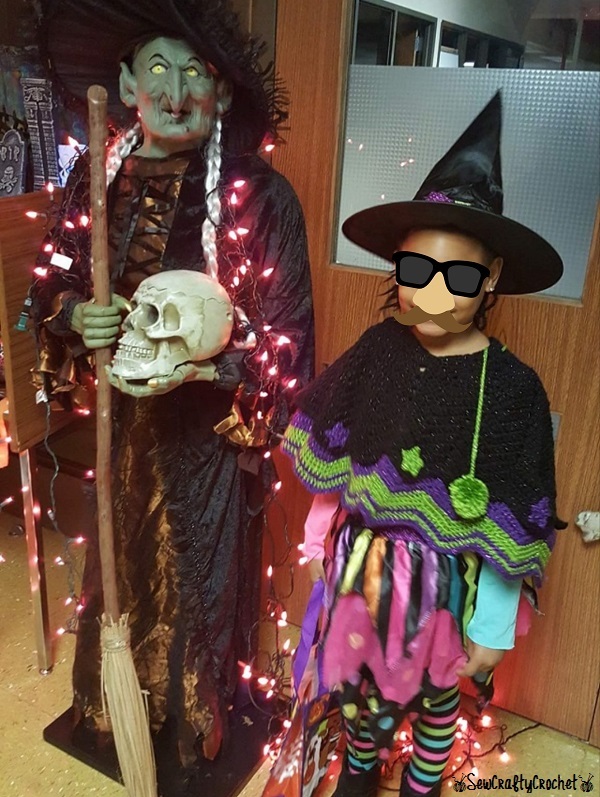 Last year for Halloween, my daughter decided that she wanted to be a witch... a nice witch. 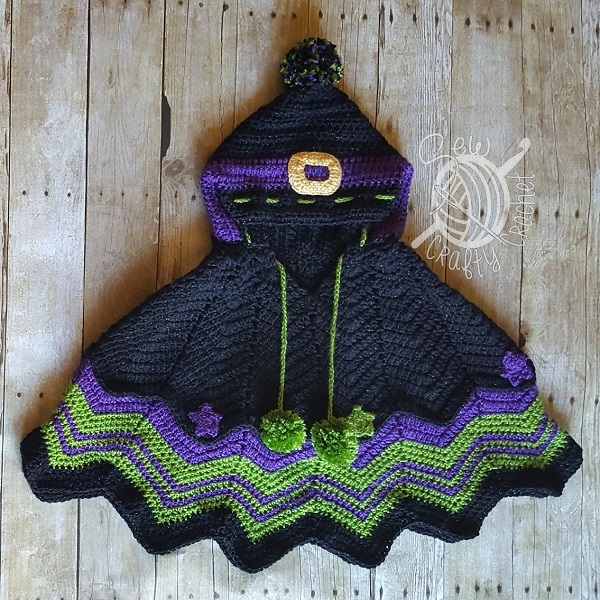 So I bought her a cute and colorful witch costume from a local store, and then I decided to crochet a hooded poncho for her to keep her warm while Trick-Or-Treating. Last year, when she dressed up as Princess Anna from Frozen, I made her a crochet Cape and Hat like the ones worn by Anna. 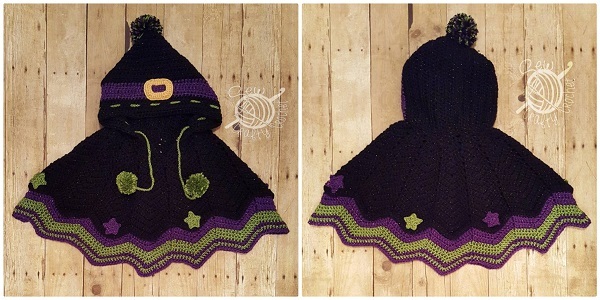 She loved her Princess Anna Cape & Hat, so I knew I needed to make her a poncho she'd love. 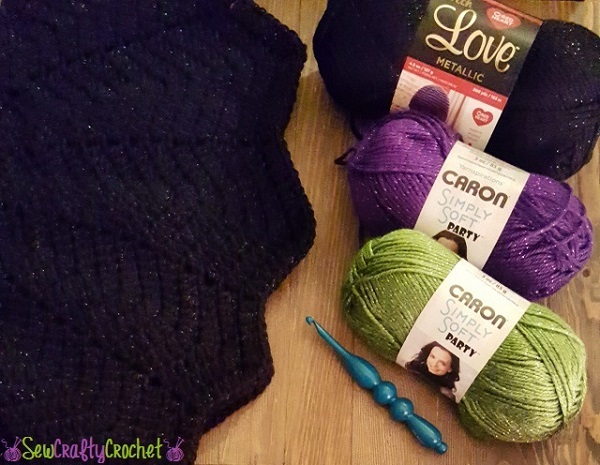 To make this poncho, I used Red Heart With Love Metallic Black, Caron Simply Soft Party Purple, Caron Simply Soft Party Spring Sparkle, and Caron Simply Soft Sunshine . 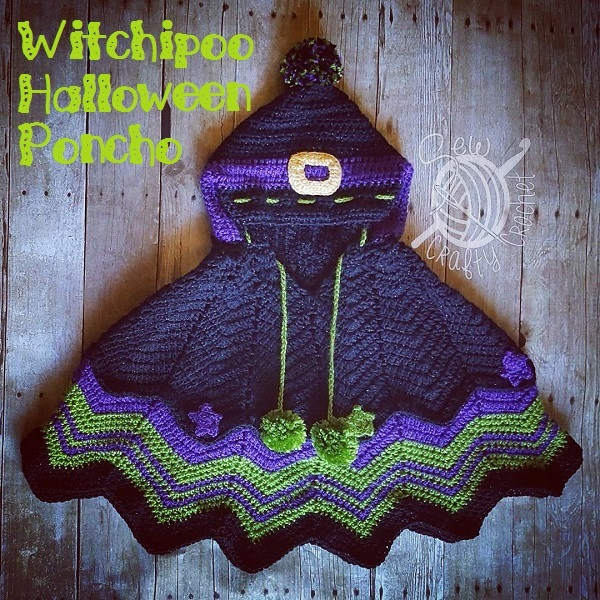 I found the pattern for the Witchipoo Halloween Poncho by Snappy Tots on Ravelry. 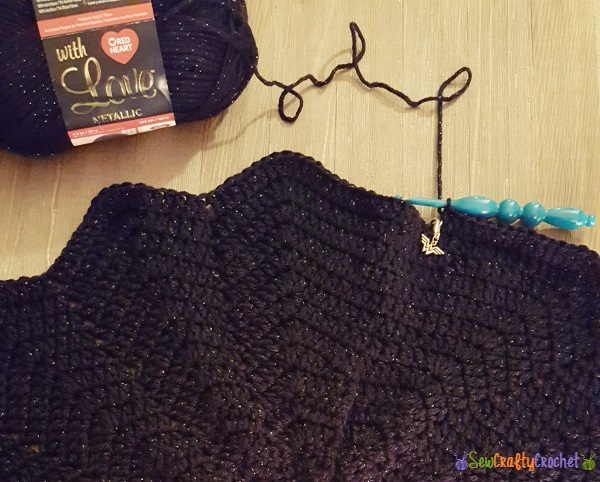 I try to use the same brand of yarn for a project, and there is a black Caron Simply Soft Party yarn, but I preferred the black Red Heart With Love Metallic yarn because it is a little thicker and works up really fast. 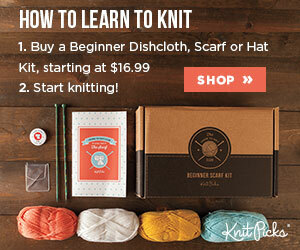 And it still looks great with the Caron Simply Soft Party yarn. I used black as the main color of the poncho and added purple and green stripes at the bottom. 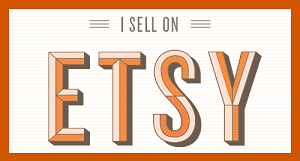 I wanted to added orange, but I could not find the Caron Simply Soft Sparkle Orange anywhere! It was sold out! 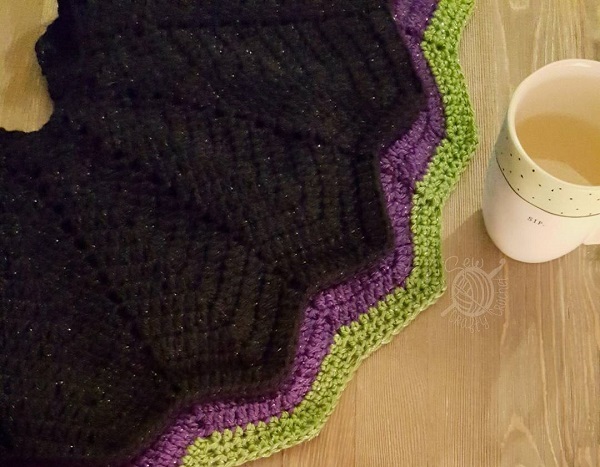 When my daughter tried it on, I realized that it could definitely use a couple more rows of green and purple stripes, so when we returned home for the night, I quickly added a few more rows. So here's the poncho with a few more rows. 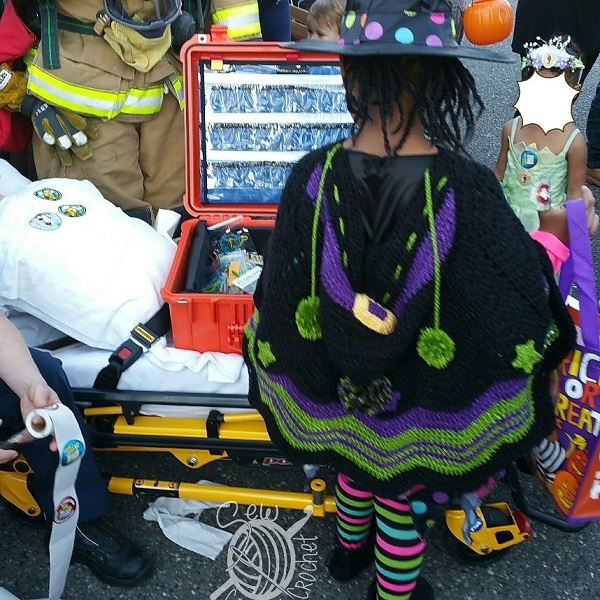 She wore the poncho to a Trunk-Or-Treating event during the weekend, and then to school on Halloween and for Trick-or-Treating, of course. Wow!! 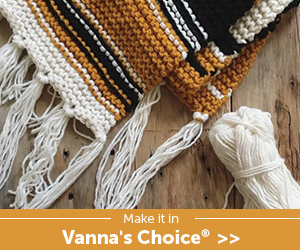 You made such a pretty Halloween poncho and looked great with your daughters costume! Thanks for sharing this at Cooking and Crafting with J & J. What a great outfit. I hope she has fun wearing in tonight. 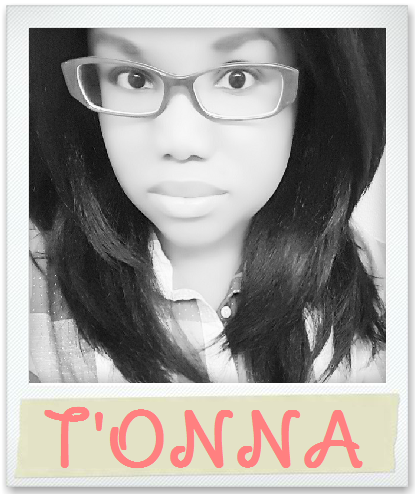 Thanks for joining in my party for October. Followed you from Ginx Craft link party.